John or “Jack” Hemming was a second or back row forward who played 267 games for Gloucester between 1923 and 1933. 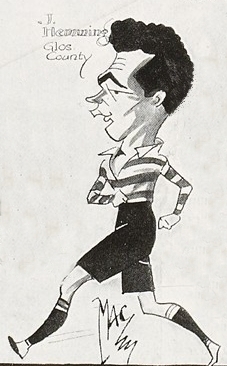 He played regularly for Gloucestershire at either end of his career, appearing in the 1926 losing semi final and in the 1932 Championship Final victory against Durham at Blaydon. 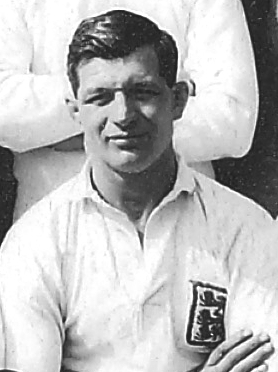 Gloucester-born Hemming made his debut for the club in the 1923-24 season and became a regular first team choice the following year when he played in 34 of the 40 games. He was already being noticed by the press for his work in the open and scored eight tries that season. In 1925-26, after an outstanding game for the club at Bristol, Hemming made his county debut in a 20-10 victory over Devon on the same ground. He played throughout that county season which ended in a losing semi-final against Hampshire at Southampton. He lost his county place in 1926-27 although after some outstanding performances for Gloucester in the second half of the season the Citizen suggested that he was returning to “the form that gained him county honours.” In the end of season round-up he was described as “always to the fore”. Jack Hemming remained a regular first team choice for Gloucester for the next four seasons in which the club met with mixed success.